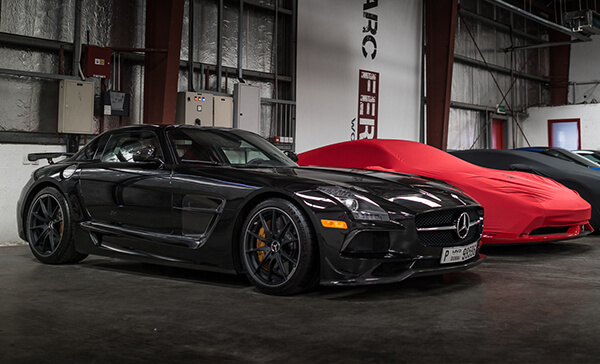 When it comes to secure short-, medium- or long-term care for your car, you need look no further than Parc Fermé Middle East, the region’s premier automobile storage facility. Fronted by owner and managing director, Motaz Abu-Hijleh, Parc Fermé opened its doors more than three years ago and very quickly became famed for its unique levels of expert service and attention to detail. And key to this success is the man himself, having spent eight years at the top of his game within the aeronautical field as a high-ranking Emirates aircraft engineer. He has also spent more than a decade as a successful motorsport team director and competition driver, running Corvette GT3 and GT4-specification race cars in the UAE GT Championship, securing the overall championship two years in a row, as well as Seat Leon Supercopas and Renault Clio Cup cars in the highly-competitive UAE Touring Car Championship. And now dozens of owners of some of the most precious, rare and spectacular automobiles entrust him and his expert team with looking after their cars. Discreet, professional and highly dedicated service is difficult to come by in the automotive sector but those are words that Motaz and everyone at Parc Fermé live by. Nothing but the best will do.